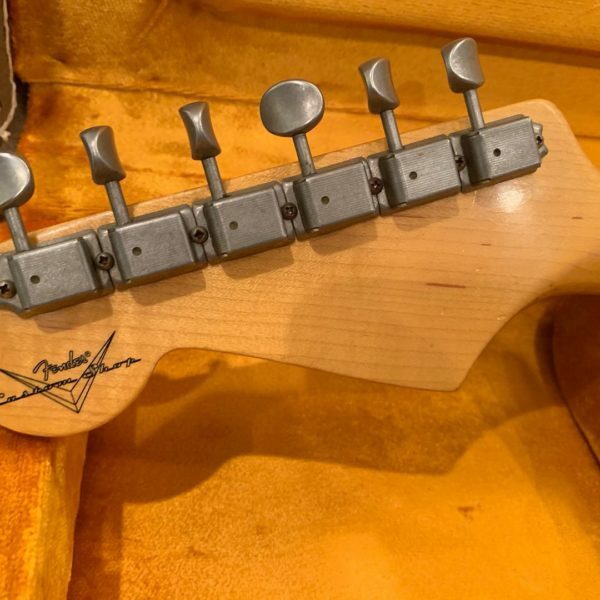 HomeShopElectric Guitars2012 Fender Custom Shop 1960 Relic Stratocaster Matching Headstock-Olympic White. 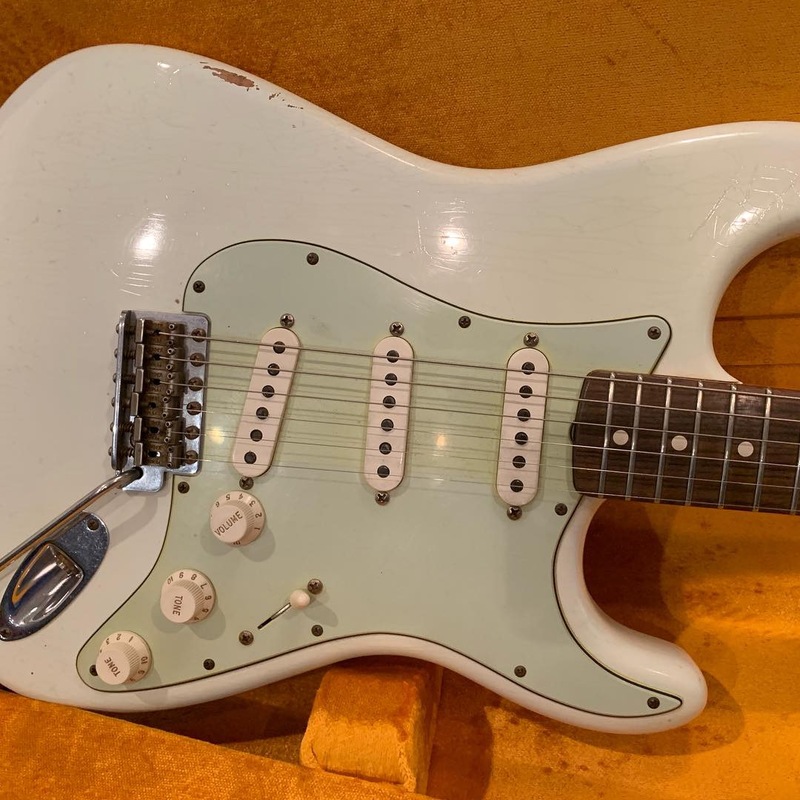 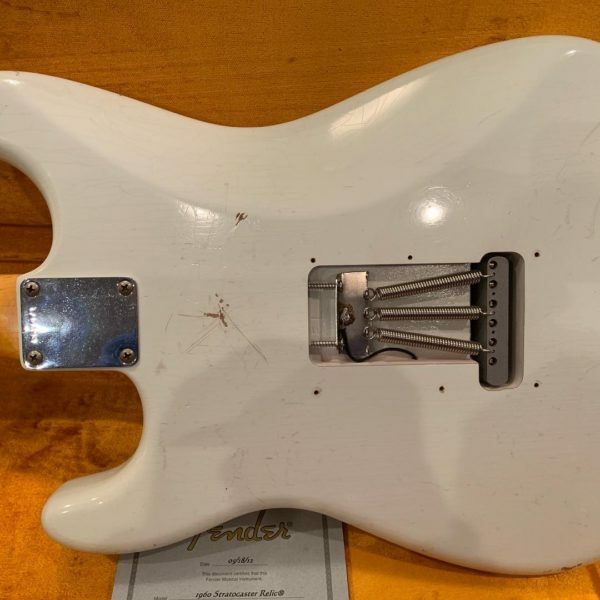 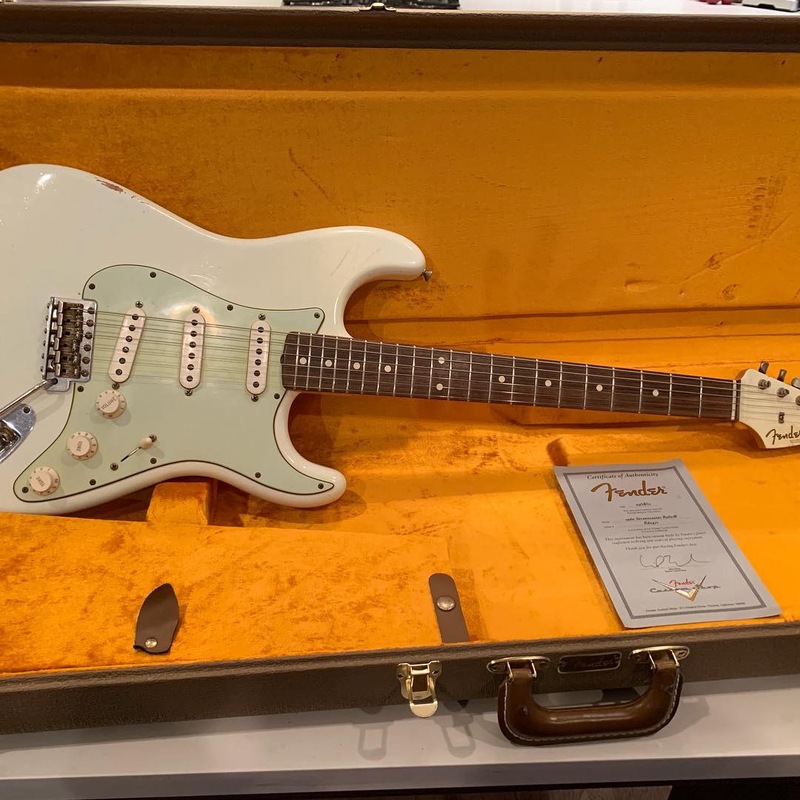 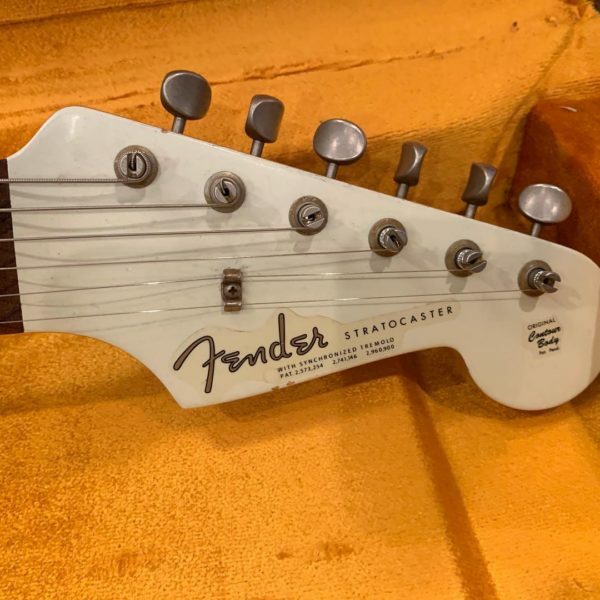 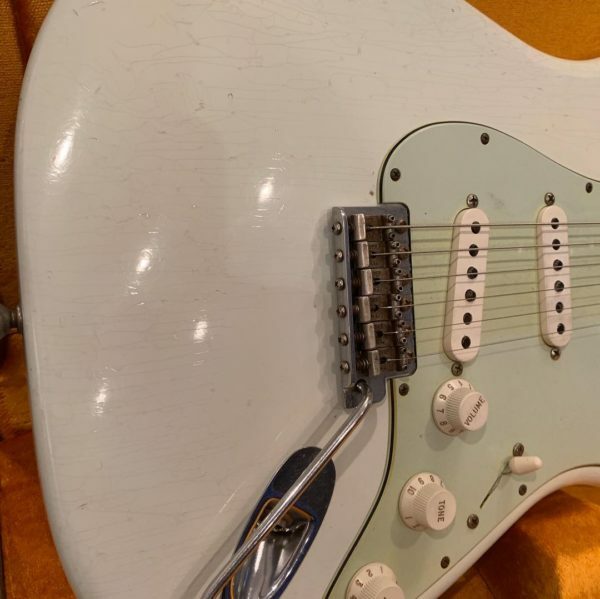 Fender Custom Shop 1960 Relic Stratocaster with matching painted headstock in Olympic White. Just in to Roadhouse Canada is a 2012 Fender Custom Shop 1960 Relic Strat. Olympic white with rare, matching headstock. 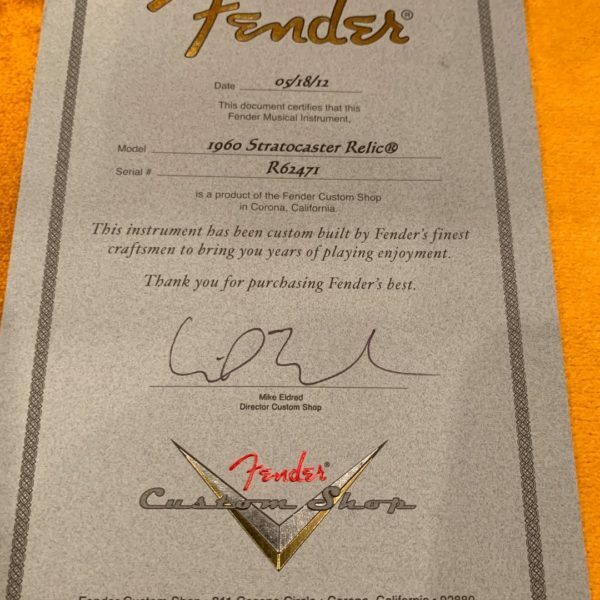 This one comes in original case with COA, etc.